One of my favourite grocery stores had a bunch of Tetley teas on sale a while back, so I picked up several flavours to try. Not the usual type of tea that I review and feature on One More Steep, but I recently had a friend point out to me that I share a lot of teas that aren’t as easy to get a hold of (e.g. teas from stores local to me or online from overseas), so I wanted to take a moment to also include some easily accessible teas as well, hence the Tetley. Dream Camomile Lemon comes in a cardboard container with a tight fitting plastic lid. Under the lid, there’s a foil seal to make it airtight. Tetley’s teas come in round tea bags, with no strings or tags. The aroma from Dream Camomile Lemon reminds me primarily of lemon and chamomile. 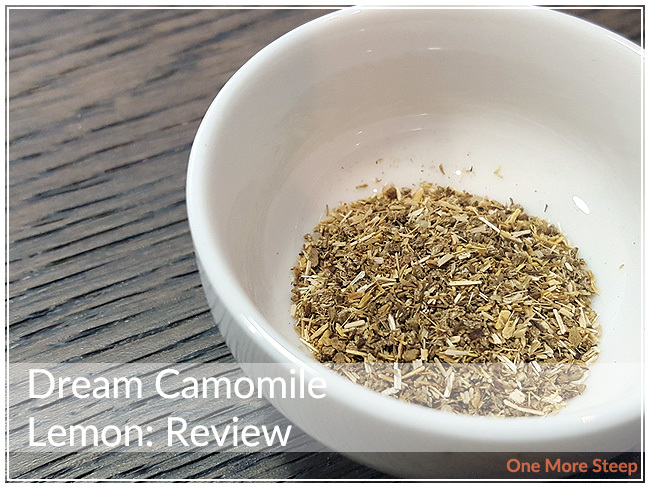 The ingredients in Dream Camomile Lemon are: camomile, licorice, natural flavour, natural lemon flavour. I think it would have been a nice, and welcome, addition if there had been lemon peel or lemon grass included in the blend. Tetley recommends steeping Dream Camomile Lemon in boiling water (100°C/212°F) for 3-5 minutes and to serve clear (e.g. no cream/milk, sugar, etc.). I followed the recommended steeping instructions and did an initial steep of 4 minutes. 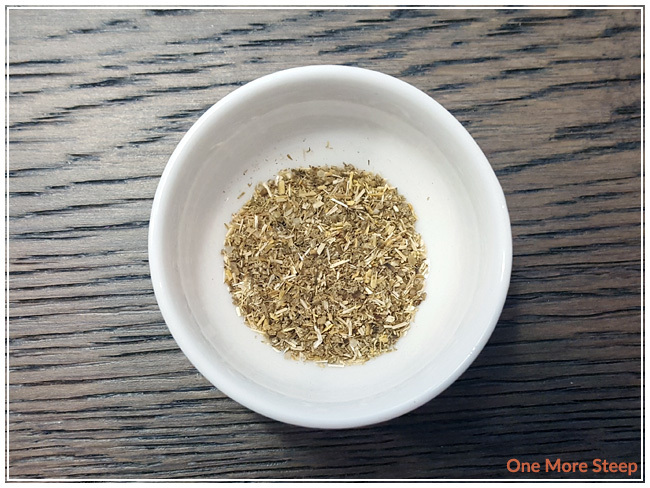 Dream Camomile Lemon steeps to an cloudy light amber colour. It has a lovely lemon aroma to it. 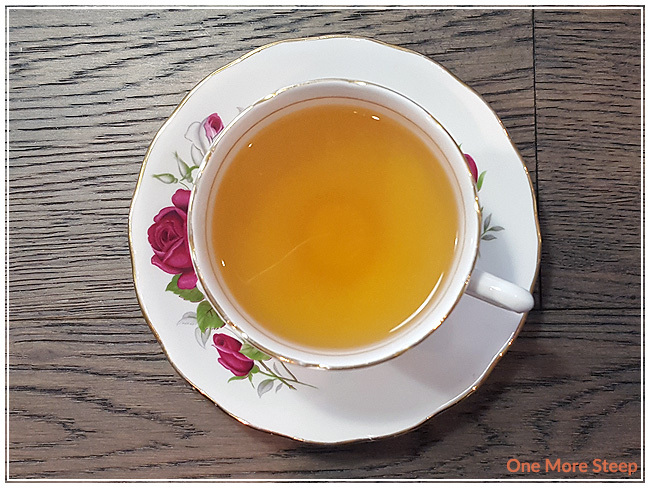 There’s a pleasant flavour on first taste, I notice that the lemon is quite strong while the chamomile is in the background – there’s just a light floral flavour to it. For those who like their teas sweet, there is a nice sweetness to the tea and no sourness from the lemon itself. I also iced a cup of Dream Camomile Lemon and found it to be very pleasant iced, it would make a nice summer iced tea. Resteeping Dream Camomile Lemon went about as well as I had thought it would. 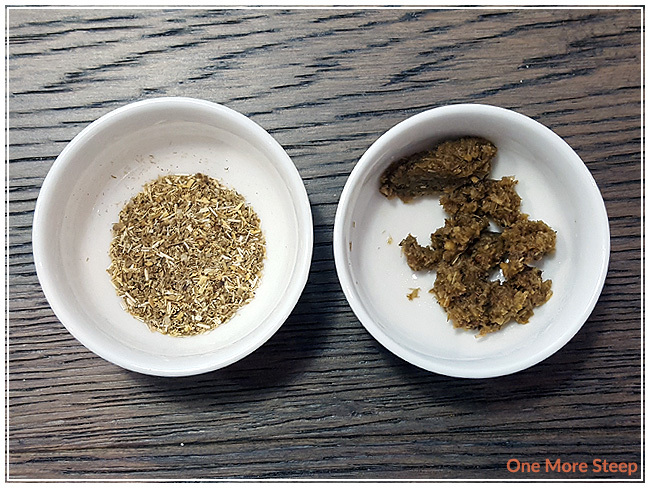 The primary flavour in the resteep was the chamomile with its floral sweetness. There was very minimal lemon flavour in the resteep. 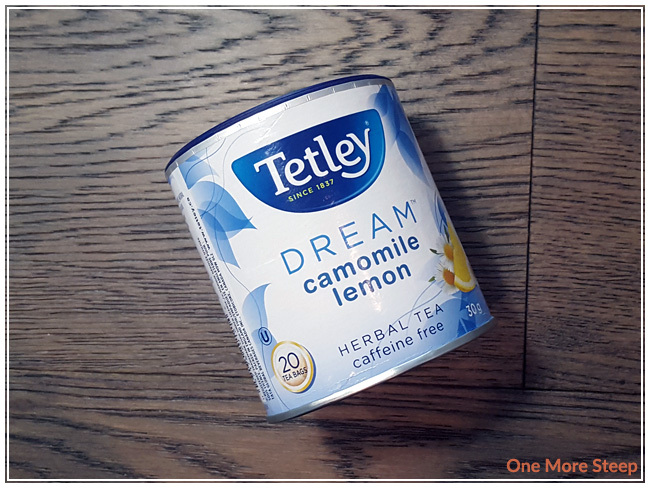 I liked Tetley’s Dream Camomile Lemon. I thought that the flavour was quite tasty for the initial steep, but found that it did really quite poorly in the resteep. I think this could be improved with adding more lemon ingredients into the blend, just to allow it to be more present. The flavour balance of the chamomile and the lemon was really nice though, and I think it does really well both hot and iced.